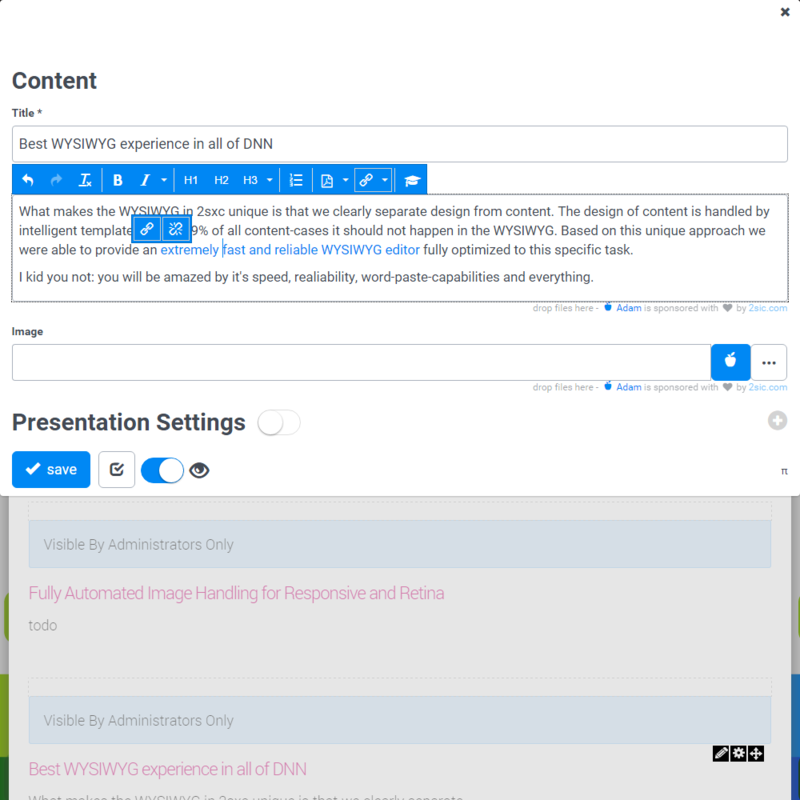 Because 2sxc is very, very good managing content, most portals replace all modules with 2sxc, as it gives the content-editor a unified experience across every component. MIT License - you can do almost everything. Must have module in any DNN installation. Invest your time to learn it and you will get DNN superpowers.